A few people have been asking us what we’ve been up to recently, and we’re hoping to get back on the ‘road’ before the end of the year, but in the meantime, here’s a couple of updates on where the Two Thousand Isles project has taken us over the past few months. For the first half of 2018 we were working in Addu and Fuvahmulah on the final stages of the Climate Change Adaptation Programme Project (wow, a five-month project and Dan still gets that wrong). The scheme was designed to protect the vital wetland areas of these southern atolls while integrating them into the areas’ ongoing developments. 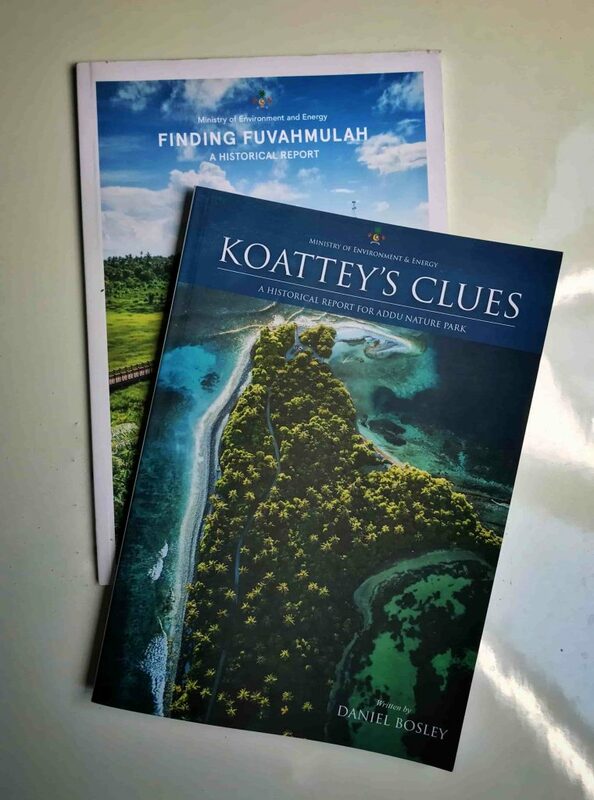 For us, this involved spending a lot of time in the protected wetlands – Hithadhoo’s Koattey area in Addu, and basically all of Fuvahmulah – and producing training materials so local guides could start giving tours. While bigger in scale than anything we’ve done before, it was mostly similar to the blog stuff, Naj flying drones and snapping pics while Dan geeks out with Clarence Maloney and H.C.P. Bell. But, we also got to spend a lot of time interviewing older members of the community, and hearing their stories was the undoubted highlight of the programme project (damn it!). The historical reports they helped us to produce got so big that the guys at the ministry decided to print them out all nice, and hopefully they’ll be around at the new CCAP tourist recreation facilities, and maybe even in the National Library. 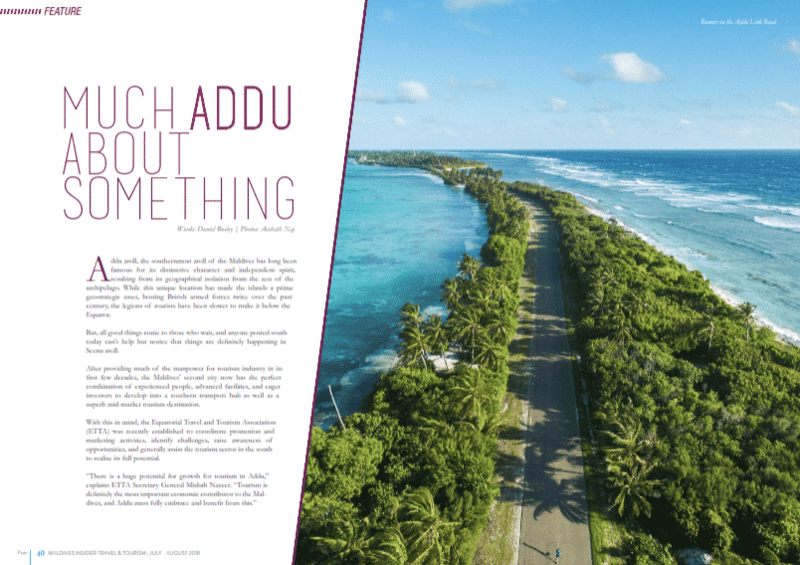 We also produced a couple of stories on the same theme for the people at Maldives Insider, who have launched their new Travel and Tourism magazine this year. 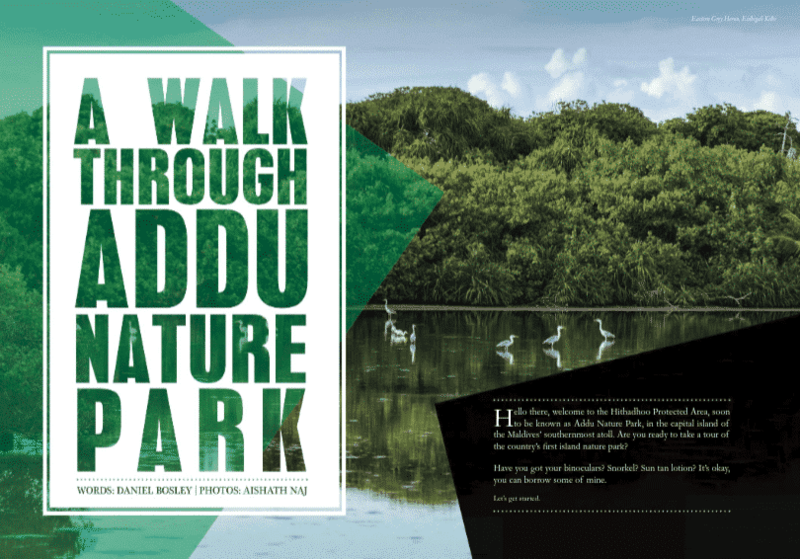 If you visit their page on Issuu, you can read about the general developments in Adduan tourism (pg 40), or take a walk with us around Addu Nature Park (pg 24).